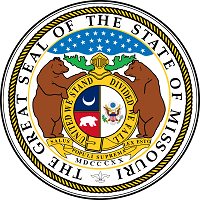 Missouri Attorney General Josh Hawley has announced his office has filed a felony complaint against a city clerk in southern Missouri. The charges in Shannon County allege former City of Winona Clerk Terri Denton stole cash that had accumulated in the city’s vault and used it on personal expenses. The Attorney General’s Office says an investigation by the Auditor’s Office discovered that at least $7,000 was not deposited between 2015 and 2017. A statement from State Auditor Nicole Galloway said her probe in September found that more than $42,000 from the city was missing and unaccounted for. The Attorney General’s Office says it was appointed special prosecutor at the request of the Shannon County Prosecuting Attorney because of a conflict. The office said its Public Corruption Team is prosecuting the case with the assistance of the Missouri State Highway Patrol and the State Auditor. Auditor Galloway said public officials would be held accountable for misuse of taxpayer money. Attorney General Hawley is a Republican who will take his seat next month in the U.S. Senate after defeating incumbent Democrat Claire McCaskill in November’s election. Galloway is a Democrat who was elected in November to continue in her role as State Auditor after being appointed to the position in 2015.